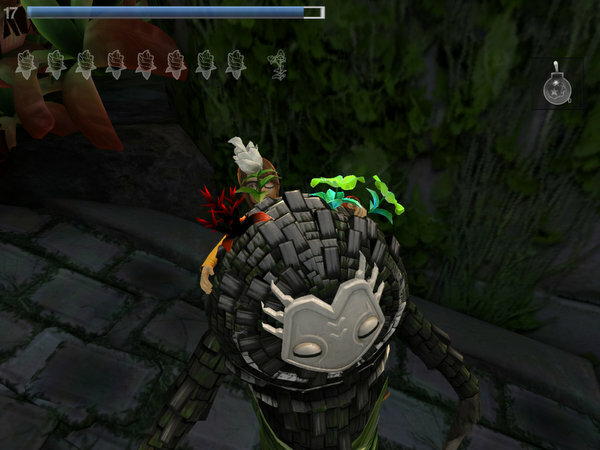 Lili is an action RPG game that was featured during the iPhone 5 Apple Keynote speech for its jaw dropping visuals. The game runs on the Unreal engine and features a quirky and kid friendly nonviolent gameplay that will appeal to both parents and adults. Lili is a student studying flowers. To complete her research, her professor sends her to the island of Geos to collect special flowers only found on the island. Unfortunately the rarest of the flowers are only found on the backs of masked Spirits who are in the midst of oppressing the population of constructs. Lili is a likeable heroine. She is smart, a little quirky, and extremely witty. The supporting characters are unique and have some genuinely funny interactions with Lili. The story is not the deepest or enthralling of stories, but that is not the star of the show. The quirky humour and the mounds of pop culture reference is the obvious gem in the story line. The humour is very similar to a Pixar movie. The humour is simple enough to amuse children and there a dash of adult humour. Lili is a shining example of a game that was designed with the touch screen in mind. Although it has its problems in execution, the control scheme is brilliant. The game dispenses with the utterly irritating touchscreen direction pad in favour for a one tap to walk forward, double tap to run forward, and tap again to stop movement. 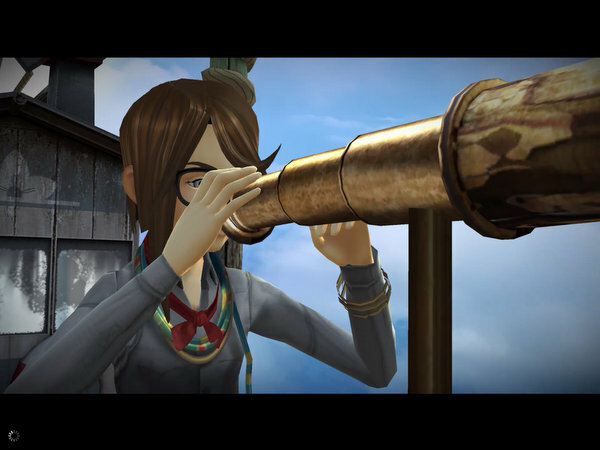 To control the camera or change Lili’s direction, the player simply drags a finger around the screen. The main mechanic of the game is picking flowers. To pick one, simply drag the flower away from the roots until it pops off. This mechanic is done both in and out of combat. Combat is a bit of a misnomer as they are more of an action sequence than true combat due to the lack of real violence. Lili chases down a construct and leaps on its back and begins plucking flowers off their back as they do their best to shake her off. A certain amount of white flowers must be plucked before the treasured red flower appears that ends to the sequence. Along the way, green and orange flowers can also be plucked off the Spirit’s back to refill the grip meter and earn bonus coins respectively. As each successive flower that is plucked off, a combo meter fills. If the player misses, the combo meter drops back to the start. The Spirit will shake causing the flowers on its back to move as the first hazard. As the game progresses and the difficulties ramp, new hazards such as bombs and Spirit guards with shields will make Lili’s adventure more complicated. The combat controls can be flaky at times. Flowers do not always respond properly when plucked with the shaking of the Spirit. The least painful of these consequences is a broken combo chain, but the most annoying consequence results in Lili planting her hand onto thorns or missing an exploding bomb resulting in a large penalty in her grip meter. I found this made more difficult fights incredibly irritating. 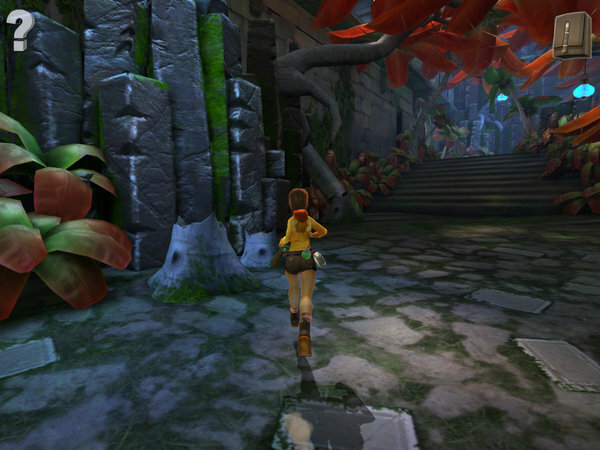 The game is split between exploring the island and combat sequences. Thanks to the stunning visuals and witty pop culture references, exploring the island can be fun. However, I found combat to be extremely repetitive and became boring rather fast. Each fight becomes the exact same thing, open the map, find the Spirit, chase is down, start the combat sequence, wash, rinse, and repeat. There is no real change in strategy beyond using an item to help speed things along. Spirits guards are more of a nuisance than a real challenge. There is a good reason why Lili was selected to be one of the apps demoed on stage during the Apple Keynote. Lili is drop dead gorgeous. The game is full of bright colours and breath taking graphics. The island is lush, its citizens detailed, and the animals are top notch. The use of the Unreal engine causes some pretty lengthy load time and heavy RAM usage, but it is a reasonable trade-off for visual quality that hasn’t been seen since Infinity Blade II. The game is jaw dropping on the New iPad’s Retina screen and the game supports the iPhone 5’s wide screen. The visual mood is fitting for an island paradise. The art style slightly cartoony, reminiscent of the early days of the Playstation before brown became the popular colour palette. Lili joins Infinity Blade II as the bar all other iOS games are compared to for graphical quality. 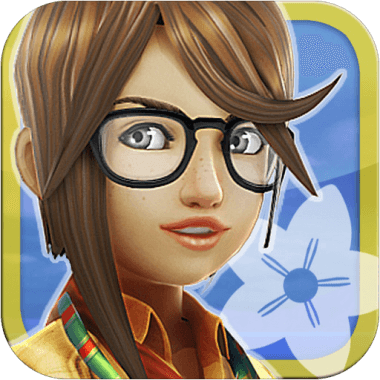 Lili is a semi voice acted games. 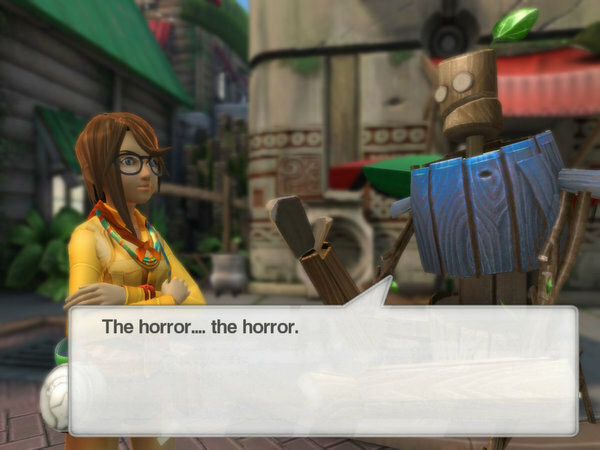 Lili has a set of generic speaking parts such as greetings that start some of the conversations in the game. The sound effects are excellent. The music is a great accompaniment to the overall environment of the game and the overall audio experience never feels too repetitive. Although this is not a game you will have to plug in headphones to get the most out of, Lili is an enjoyable audio experience that is worth turning on the speakers for. One minor quirk I did notice with the game is sometimes the game will play some of the sound even when the mute switch is engaged. Lili is an excellent example of form over function. Although it has an excellent control scheme that is well thought out, it fails in execution due to spotty controls. The story is not the deepest or engrossing of tales, but the writing is witty, quirky, and funny. The game is absolutely gorgeous and the audio matches perfectly with the island theme, but falls flat on its face due to painfully repetitive combat. Lili had all the makings of a great game but unfortunately fumbled at the finishing line. I cannot bring myself to recommend the game at $2.99, but this game is worth picking up on sale if a patch to iron out some of the combat control issues is released.